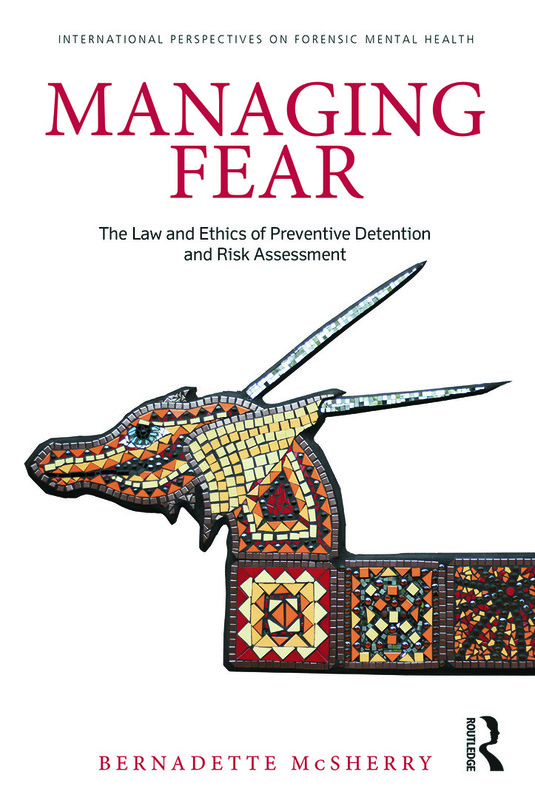 Managing Fear examines the growing use of risk assessment as it relates to preventive detention and supervision schemes for offenders perceived to be at a high risk of re-offending, individuals with severe mental illness, and suspected terrorists. It outlines a number of legislative regimes in common law countries that have broadened ‘civil’ (as opposed to criminal) powers of detention and supervision. Drawing on the disciplines of criminology and social psychology, it explores how and why such schemes reflect a move towards curtailing liberty before harm results rather than after a crime has occurred. Human rights and ethical issues concerning the role of mental health practitioners in assessing risk for the purposes of preventive detention and supervision are explored, and regimes that require evidence from mental health practitioners are compared with those that rely on decision-makers’ notions of ‘reasonable belief’ concerning the risk of harm. Case studies are used to exemplify some of the issues relating to how governments have attempted to manage the fear of future harm. This book aims to educate mental health practitioners in the law relating to preventive detention and supervision schemes and how the legal requirements differ from clinical assessment practices; examine the reasons why there has been a recent renewal of preventive detention and supervision schemes in common law countries; provide a comparative overview of existing preventive detention and supervision schemes; and analyse the human rights implications and the ethics of using forensic risk assessment techniques for preventive detention and supervision schemes.